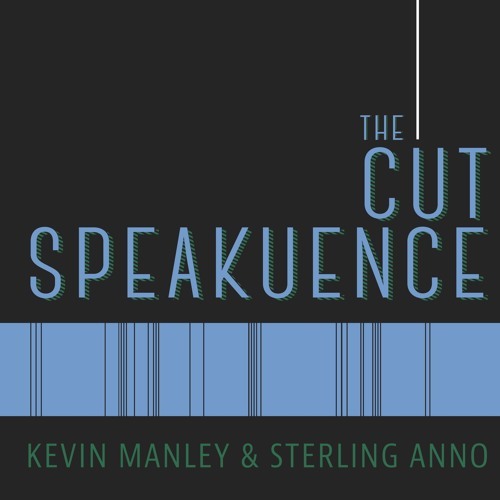 This week on The Cut Speakuence, Kevin and Sterling had the honor of interviewing Amir Motlagh, an art film writer/director from Los Angeles. On the show we discuss his two newest feature films “ Three Worlds”, “Man,” and his visual album “Canyon.” If you want to learn more about Amir, check him out on YouTube and be sure to support his Indie GoGo campaign to finish the last bit of post production on “Three Worlds” and “Man.”: https://www.indiegogo.com/projects/three-worlds-and-man-2-new-films-by-amir-motlagh-losangeles-drama#/ Subscribe to The Cut Speakuence on iTunes and everywhere else you get your podcasts. Want to hear Kevin and Sterling talk about a particular movie? Visit thecutspeakuence.com and write in a request at www.thecutspeakuence.com. Or tweet the guys @JustKevinManley & @TheSPORKguy. Also, be sure to leave a rating for the show on iTunes, it really supports the show. The Cut Speakuence theme music provided by Kameron Ramirez @Kamruff on Instagram.